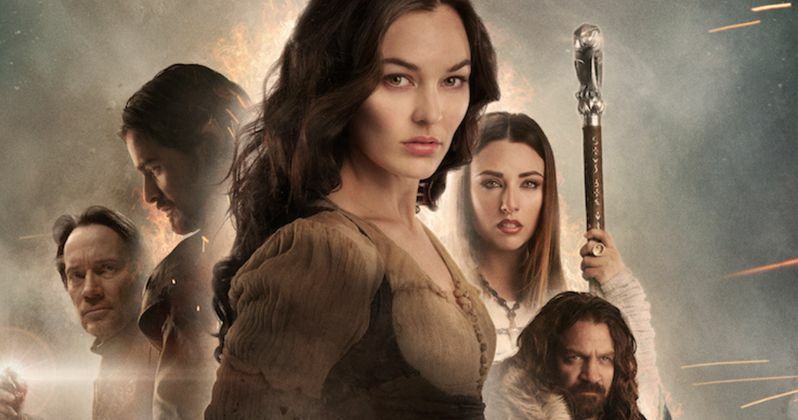 Return to the thrilling world of Mythica as the second film in the three-part epic fantasy trilogy, Mythica: The Darkspore premieres exclusively June 23 on the on-demand streaming network celebrating the pop culture fanspace, CONtv. Fantasy legend Kevin Sorbo stars in the ongoing adventure that returns to a world of orcs and magicians, swords and spells, and follows the adventures of Marek (Melanie Stone), a wizard born with the dark power of necromancy, as she learns to harness the power that threatens to corrupt her. Our exclusive clip features Kevin Sorbo as the wizard Gojun, who does whatever it takes to destroy the magical Darkspore. Also starring Jake Stormoen, Nicola Posener, and Adam Johnson, Mythica: The Darkspore begins as Teela's (Posener) sister is murdered and a powerful relic is stolen. Marek and her friends face a foreign mystic bent on reclaiming the Darkspore for his master Szorlok (Matthew Mercer). The adventurers are joined by the mysterious dark-elf warrior - Qole (Rocky Myers) and the quest leads the heroes on a journey deep underground to discover that the ruined city is now home to an undead dragon. Trapped between Kishkumen and the dragon, Marek and her team must employ all their skill and magic to battle the beast and combat Kishkumen for not only hard won treasure and, but also their lives. The first installment of this fantasy trilogy, Mythica: A Quest for Heroes, debuted back in March on CONtv, with the highly anticipated third film, Mythica: The Necromancer, set to exclusively premiere on CONtv later this year. We'll keep you posted as soon as we know more about when Mythica: The Necromancer will debut, but, in the meantime, check out our exclusive clip from Mythica: The Darkspore before watching the full feature on CONtv.com.